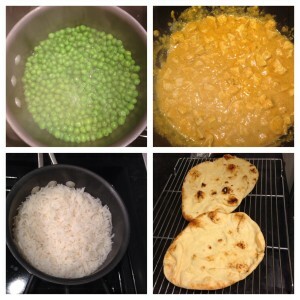 As parents (people in general), we are always looking for simple dinners. I do not claim to be a chef. I claim to be a foody, that can read a recipe and has a fabulous husband that normally does the cooking. However, tonight I took on the kitchen with a fabulous Indian dish (disclaimer: we have cooked this before so I didn’t go in blind) and Voila in about a half hour dinner is served. Here goes. Vegetable of choice. With the Indian dishes we do peas, cauliflower or cut up fresh tomatoes and cucumbers. 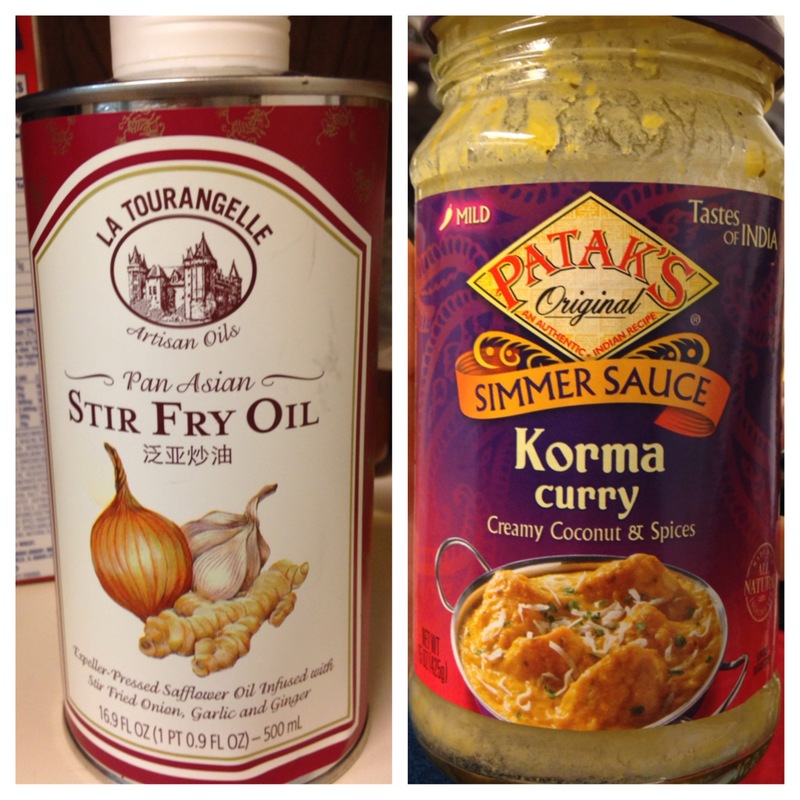 Oil – We use a pan asian stir fry oil which adds a great flavor. You should be able to buy at your local grocery store. If not, try World Market. Before we found this oil we used Vegetable oil and it was great. Patak’s Original simmer sauce – We use Korma or Tikka Masala. Both tasty. We buy this at Kroger so your local grocery store should have it. Naan – You can typically find in your local grocery store, bread section. We typically find it at Super Target. Step 1: Cut the fat and icky stuff off the chicken and then cut up your chicken in small bite size pieces. Step 2: Bring your water to a boil, pour in your rice and cook it. Step 3: Preheat the oven for the naan. Step 4: Heat your oil in a large skillet or wok. Step 5: Throw in your chicken salt and pepper it to taste. Go easy on the pepper. Cook it until the chicken is thoroughly cooked. Step 6: Start your vegetables. Step 7: Pour the sauce over the chicken, cover it and let it cook for 5 minutes or 3o minutes. The longer you let it simmer the better, but I understand sometimes there is not time for simmer. 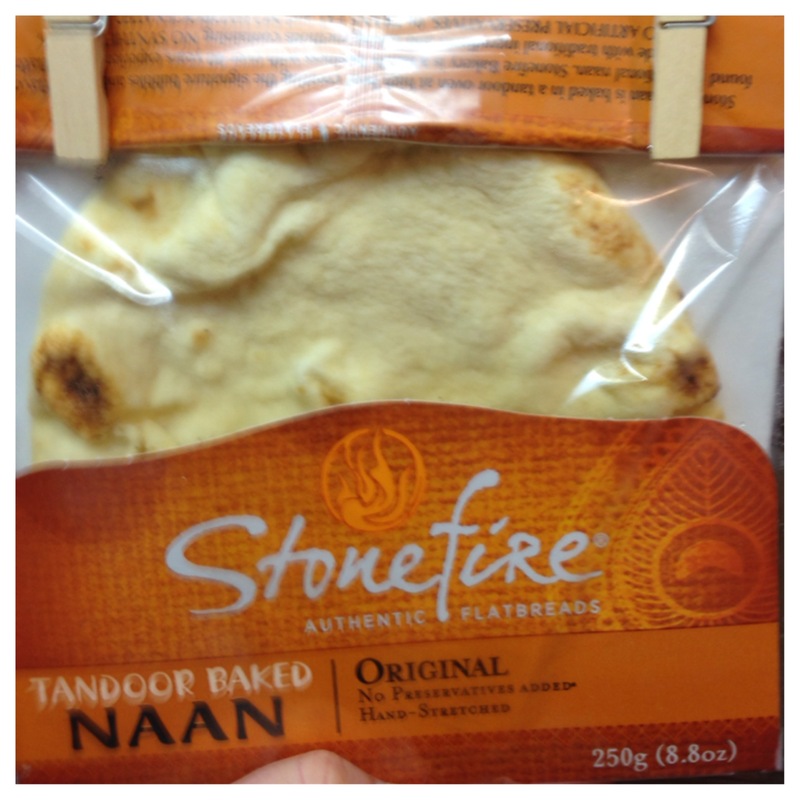 Step 8: Put the naan in the oven. Dinner is served. You can put the chicken and sauce over rice, you can eat the chicken with naan or you can eat the chicken over rice with naan. Plate it up and eat. You can do all this in less than a half hour. Also, my kiddos love this meal and they are 3.5 and almost 2. They also really like it leftover. The sauce makes it a good leftover meal. And if you are pureeing food for an infant it is a great puree. People ask what it tastes like? That is hard to describe, but it is good. I love Indian so it is hard for me to say, but the flavor is mild. Don’t be afraid because of Curry. 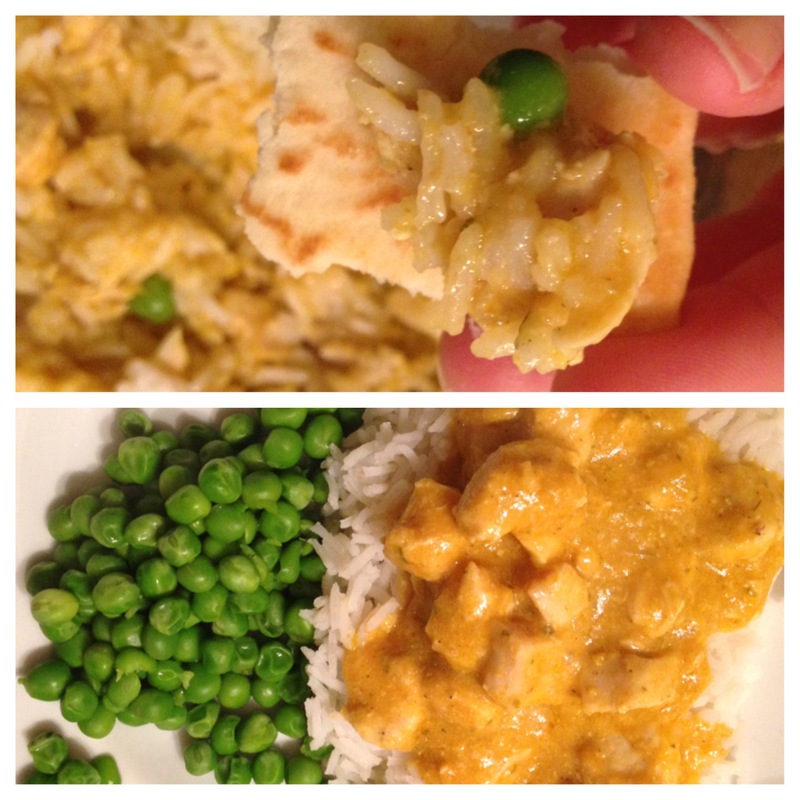 I always hear people say I don’ t like curry and I wonder if they have ever really had it. Try it. It is super easy and super yummy. Let me know what you think.